Norton WallSand 100 grit Hook & Sand Drywall Sandpaper for removing large ridges and heavy surface roughness from joint compound. Norton WallSand 150 grit Hook & Sand Drywall Sandpaper for smoothing the last coat of joint compound which has a light surface roughness. Norton MultiSand sandpaper is for general purpose hand or machine sanding of wood, metal, plastic and fibreglass, as well as removing old paint. Assorted grit sheets contains 2 very fine, 2 fine and 1 medium sanding sheet. 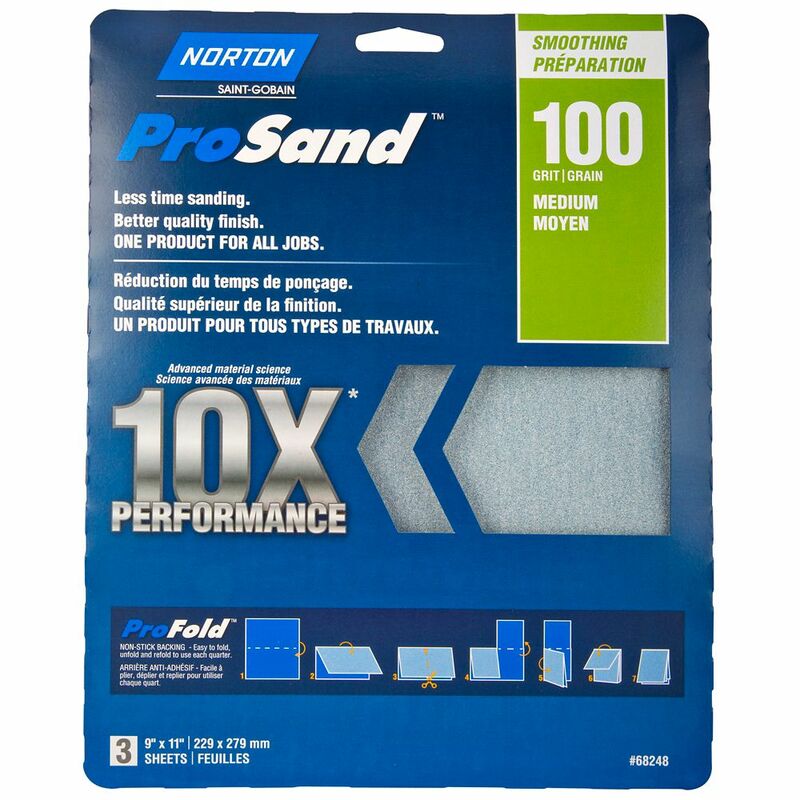 Norton ProSand 10X Performance Sanding Sheets, 60 Grit Coarse for heavy removal. Premium abrasive provides superior cut on all surfaces. 3 sheet handy pack for the do-it-yourselfer.